Let’s talk about yarn; specifically, let’s talk about how to buy yarn online. Now, this may be straightforward to some of you, but I found my first yarn order to be a little daunting. I didn’t know what to look for or what to expect from yarn I hadn’t felt or seen in person. I wasn’t even sure where to shop for yarn online. There were options, but they were all new to me and I just needed someone to point me in the right direction. Once I did start to buy my yarn online, so many options and possibilities opened up for me and there was so much more variety to choose from. So, if you’re new to buying yarn online, or just looking for more places to buy from, this post is for you! This post may contain affiliate links. Read the full disclosure here for more info. When you shop for yarn in a brick and mortar shop, there are some things you keep in mind as you look. Whether it’s for a specific project or just because you like the yarn, we yarn addicts tend to have criteria. Some of the things I look for at yarn stores is the color, the feel, and the material of the yarn. I also check the weight of the yarn if it’s a specific project, and of course, the price. When you buy yarn online, you can’t feel it, but you can still take the other factors into consideration. You just have to know where to look. Although it’s fun to just browse, be sure to have some kind of plan in mind to help you narrow down all the options. What weight yarn should you look for? These are the two questions I ask myself to help me get started. Then I can narrow all the results by the yarn weight, and ignore everything else that won’t be helpful. After I’ve picked out what I need, I can broaden my search again and just look at what’s in stock. Say you needed worsted weight yarn for a beanie. If you went to the online yarn store below, you could be looking through 170 different yarn options. But if you narrow it down to just the “4-Worsted” category, you’ll find the right yarn quicker and with less headache. You know all that helpful information on yarn labels? Things like yarn weight, material, gauge, the amount of yarn in one ball, and whether it’s easy to care for… that’s all on the label! It’s also under the descriptions or product details when you buy yarn online. So, if you want something that’s easily machine washable and dryable, you can find that information on the page before you buy it. This is the most important thing I look for, personally. Because I make a lot of things for babies and items that will get used a lot, I want to make sure the yarn is machine washable and easy to take care of. I spend a lot of time narrowing my options down to hat my customers will have the easiest time maintaining. It gives me the satisfaction of knowing that my work will last, and the customers are always pleasantly surprised by how durable the material is. I’ve even compiled a list of all my favorite yarns for every kind of project. 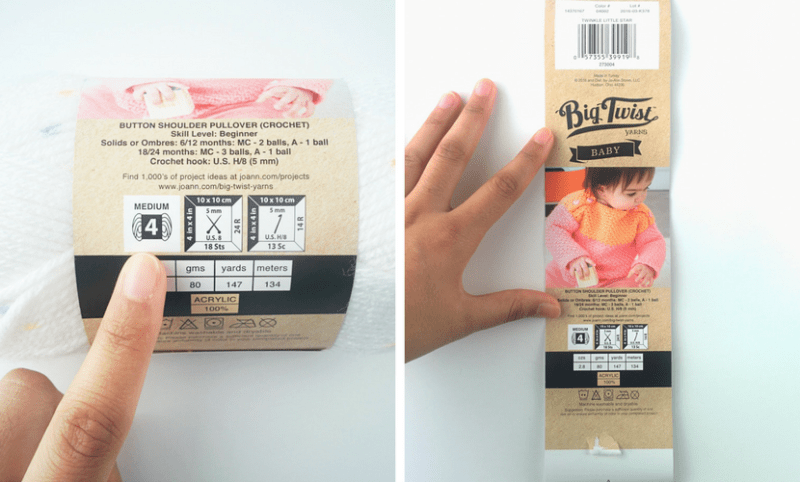 If you need to brush up on how to read yarn labels and care symbols, check out this post! Although you can’t feel the yarn before you buy it, you can get advice from those you have already purchased and used the yarn. When you choose a yarn, scroll down to the reviews and see what others have to say about it. You’ll find people talking about how the yarn holds up, whether it washes well or if the color is different in person. Some reviews will even have images of finished projects using that yarn. If the website you’re buying from doesn’t have reviews of that yarn yet, Google it! Other people will have talked about it somewhere! Because having the option to buy yarn online opens up the possibility to try new, different, and sometimes specialty yarns, things can get a little expensive. Some yarns are exclusive to one merchant or they can be an online-only brand, so if you want that specific yarn, you have to pay their price. BUT, there are always sales, coupons, and deals that you can take advantage of. Craftsy has two great sales every month: a monthly course event and a monthly supplies event. During these events, everything is 50% off! That makes a HUGE difference, and I try to wait until that sale rolls around until I make my purchase. It saves me money, and I get twice as much yarn as I would have otherwise. I just add things to my cat and wait until the sale weekend to make the purchase. Plus, after you buy, you always get a coupon for 40% off on one thing next time, so that’s always nice. KnitPicks has a different line of yarn on sale for 20% off every month. So, this month’s yarn is the Swish line. For all of May, Swish is 20% off and next month, they’ll announce a new line to go on sale. Usually, it’s the perfect weight/material for that part of the season and there will be books and patterns showcasing that yarn on sale too. And always check the clearance section! Yarn doesn’t go bad so if there’s something you want in the clearance, get it. In brick and mortar stores, the selection doesn’t really change too much. They get new lines when something is released or if it’s popular enough to make it to your local, tiny Hobby Lobby, but the same brands are there year round. Online, the warmer yarn (wool, merino, alpaca, mohair, etc) goes into clearance during the spring and summer. And the lighter weights go into clearance during the fall and winter. There are also limited edition yarns and special bundles that end up in clearance that are really worth checking out. Get them, and save them until you’re ready to use them. I’m all for kits, and when you aren’t sure about a yarn or about what to do with it a yarn you’re considering, see if there’s a project kit for it. 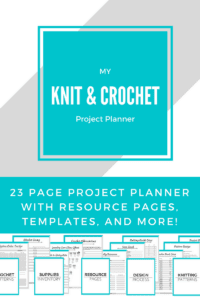 I love these because you can find a project you like and get the pattern and all of the yarn you need to make it, at a discounted price. The cost of the yarn works out a bit cheaper, you’ll know exactly what to do with it, and you can also contact their support if you need help. It’s win-win-win. I wanted to try the Sprightly line from Craftsy, but I had so much yarn already and I didn’t want it to sit around, so I purchased a kit. Now, it has a specific purpose and I got to try out the yarn. I got the Sporty Cardigan kit, btw. Here is a picture of the kit I bought and tried out. 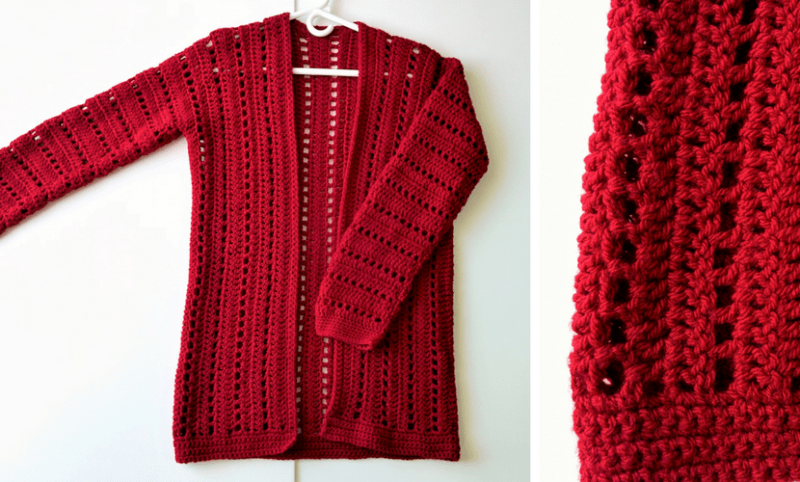 I gave a full review of the pattern, the yarn and my experience making the cardigan. If you’re new to making clothing and sweaters, give this a try. It was my first sweater that actually turned out right and I loved it! If you’re REALLY unsure about whether to buy yarn online, play it safe and get something you’re already familiar with. Some of your favorite brands sell online as well as in your local stores. And they have more options. My local Jo-Ann Fabrics has some of the standard Lion Brand yarns, like Scarfie and Hometown USA, but it doesn’t have too many options for other lines or even more colors. There are 4 colors of Hometown USA at my Jo-Ann, but online there are so many more! Get your favorite yarn lines or your favorite brands from a shop like Craftsy (or even shop directly from Lion Brand) and throw in a ball or two of a yarn you’re curious about. That way, you’ll get the main thing you wanted, but you’ve also ventured out and tried something new. If you like it, great! If not, you spent maybe an extra $5, but you still got other yarn you love. If worse come to worst, you can always get your money back, return the yarn, or exchange it. Every online shop has some type of return policy or a way to address an unhappy customer, so if you really hate the yarn and the experience, you can fix it. I’ve shopped around a lot and I’ve never been upset with a purchase, but it is an option. If you read the reviews and checked that it was what you were looking for, you won’t even need to worry about this though. Alright, now that you know how to find yarn and what to pay attention to, let’s buy some yarn! There are a ton of places that I like to shop or even just browse if I’m not in the market for new yarn, but here are my favorites. I should say, though, that there are some people who don’t like buying yarn online because it takes away from independent local yarn shops. But the way I see it is simple: shop both. There’s no rule that says you can either shop from local, indie sellers or from big companies. I love my LYS and the experience of shopping there, but I also have my favorite big brand yarns that I rely on. There are different selections and it’s perfectly okay to explore both. In fact, there are indie sellers online too, so you can still support them if you buy online. This is my #1 site for yarn shopping. They have tons of familiar brands and there are always new brands on here too. I tried the Cloudborn yarn which is exclusive to Craftsy, and it’s incredible. They also have an amazing offering of courses and other supplies, so it’s a great place to look around. I did a Crafty Haul recently if you want to see what I bought. I also love Craftsy because of their sales: the two monthly sales are amazing and I mark my calendar for them each month. Next up is KnitPicks, which is where I first forayed into buying yarn online. They have a beautiful selection, ranging from the super-affordable, tried and true to the more high-end luxury yarn. They even have dyeable yarn if that’s something you want to try. 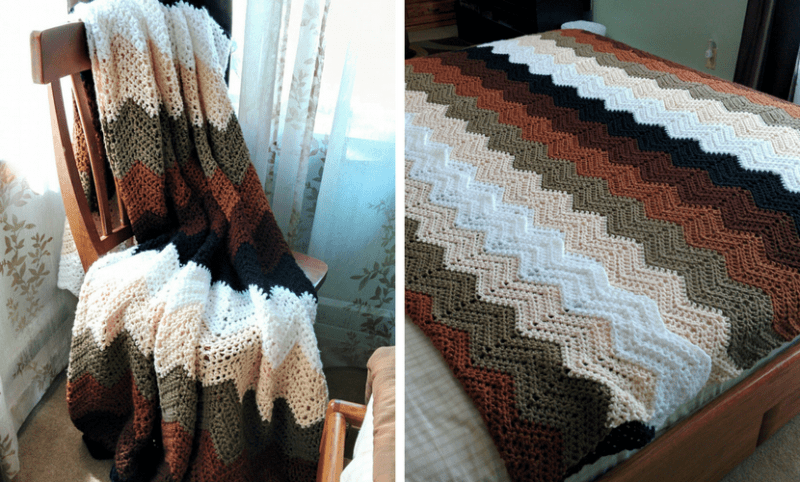 I made my last blanket, The Mocha Ripple Throw, using Knit Picks yarn. All of my knitting needles are from this website too. My favorite thing about Knit Picks (besides their tools and supplies, which make up the majority of my kit) is that they have yarn value packs. Basically, they take a few colors or a color family of different lines and send you a pack of yarn at a discounted price. You get to try their new yarn and get a few colors to play with. They also have this new thing called the $10 Yarn Grab Bag, and it’s just a surprise bag of yarn; you get 4 skeins and it’s a minimum $20 value! Another awesome shop, and the only place to get Paintbox Yarns, is LoveCrochet. I haven’t tried this yarn yet, but it’s something I’ve heard loads about and I think it’s beautiful. My favorite thing about this site is that it has a lot of exotic, and kind of weird, yarns. They’re just so different from anything else I’ve seen, like this Euro Trans Tinseltown. 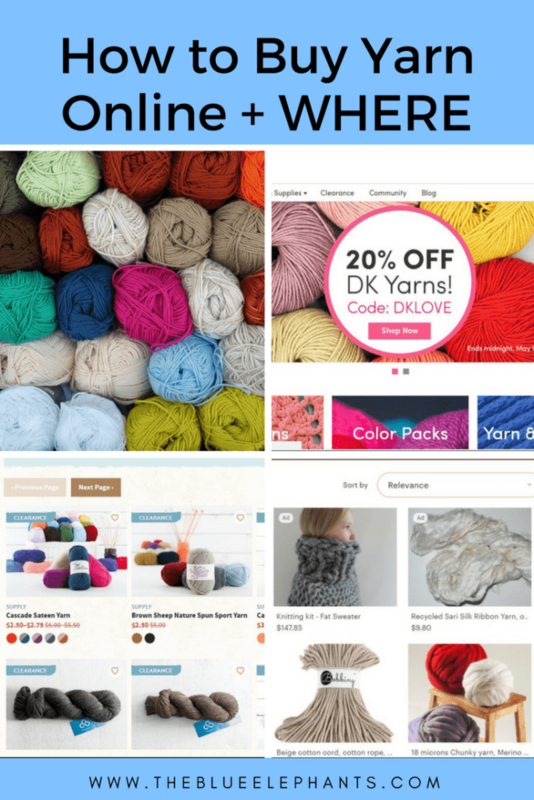 LoveCrochet and LoveKnitting are the same shops, but they’re split up to make it easier to find crochet vs knitting patterns and kits. I get kind of sucked into this site; there’s just SO much to look at. Everyone knows about Etsy and how you can get really unique items there, but Etsy Studio is a little different. It’s the side of Etsy that’s for people like us: the makers. You can find things that are more tailored to the creation of products rather than the finished thing itself. The yarn selection is sort of all over the place, but it’s still great. You can find the giant mega bulky yarn for arm knitting, or you can find hand-dyed, handspun yarn (so beautiful!) from indie sellers. You can even get the materials to spin and dye your own yarn however you like, or you can sell your own products and patterns on Etsy Studio. Speaking of which… visit my Etsy shop! 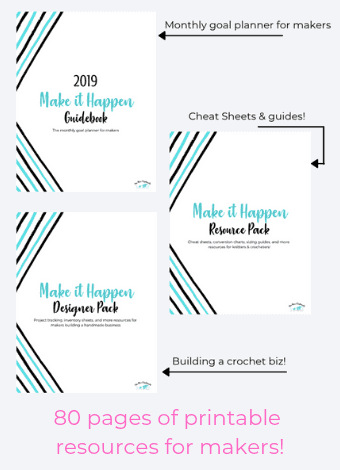 All of my patterns are available as ad-free, comment-free PDFs in the shop and it all goes back to supporting The Blue Elephants and contributing to my yarn funs :). Favorite the shop for updates because I’ll be taking custom orders soon! If you have a favorite company or store, you can also take a look at their online selection. Places like Hobby Lobby, Jo-Ann Fabrics, and Michaels have more in their online shops than what they can carry in stores, so it’s a good idea to check those out too. If you have a problem, you can still return items to the store. Just be sure to check to see whether they can ship to you. Hobby Lobby isn’t found everywhere, but some of the Hobby Lobby brands, like Crafter’s Secret, are wonderful and perfect for baby blankets. I can find these in stores, but if you don’t have one near you, get the yarn online! 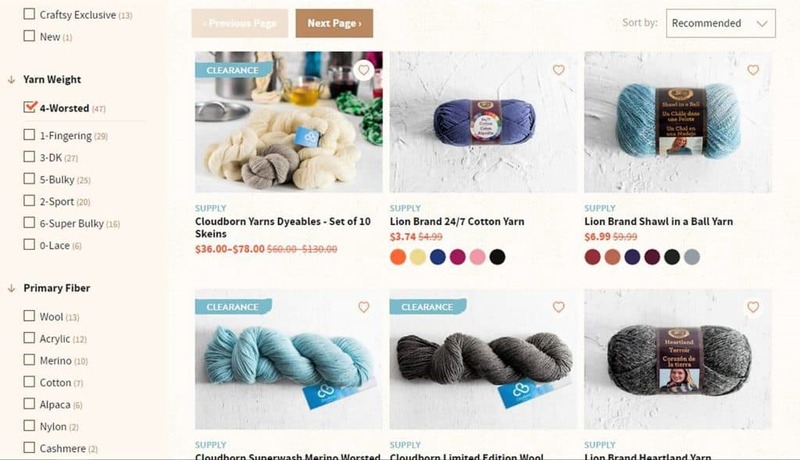 You can also buy yarn online directly from the brands; Lion Brand and Yarnspirations (Patons, Caron, Bernat, and Lily Sugar ‘n’ Cream) have their own websites where you can buy yarn online from their entire stock. Other big names have them as well, so just do a quick Google search to find them! Know what you’re shopping for to save time! Check the product details to avoid confusion. Shop the sales! Seriously, why pay more if you don’t have to? Try a yarn + pattern kit. Stick to the tried and true if you’re worried about buying online and meeting expectations. Take advantage of refunds and returns if something does go wrong. Has Craftsy changed their name or their website? Hi John! That’s so nice of you. The best place for you might me KnitPicks because the yarn is super affordable and they have value packs and bundles where you can get a mix of different yarns. Really helpful and informative – thank you! Webs (yarn.com) is great too! Ohh so many pretty yarns and colors to choose from. I have to admit I know nothing about all this but I can see where it would be a problem to order online if you were clueless like me. 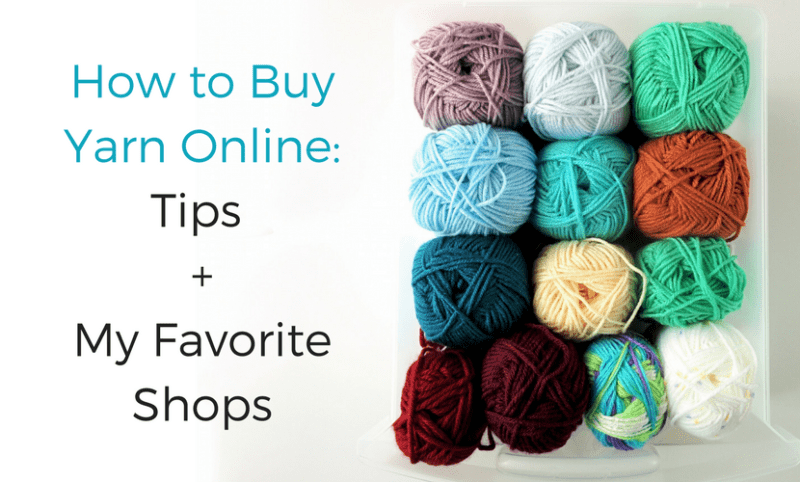 Thanks for this quick guide to help anyone who is interested in buying yarn online.